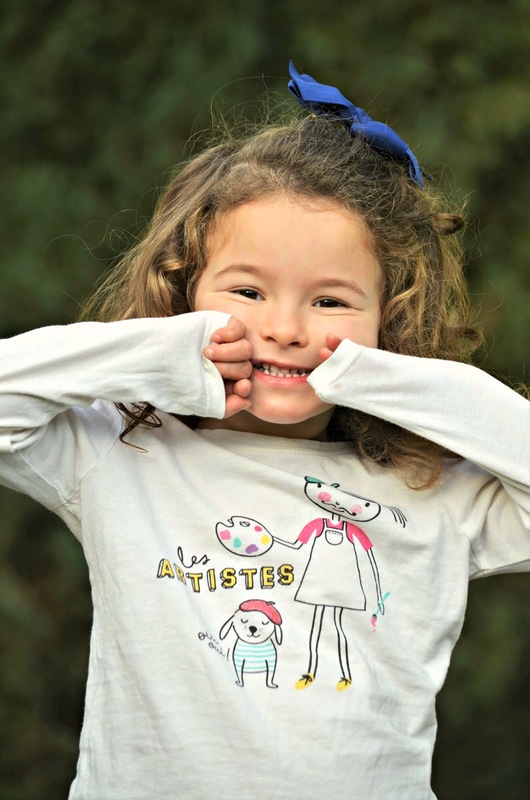 My baby turned 4!!! Seriously, how can that be? It really feels like just yesterday that she was toddling around. Now she's this big little person who constantly makes me laugh. Two days before her birthday she woke up telling me that she just felt older that day. She went on to try to convince me that I was mistaken about the date of her birthday (and that I should let her open her presents right then.) Hah! Ellie wanted an art party for her birthday, and she wanted to just celebrate with a few friends at the house. 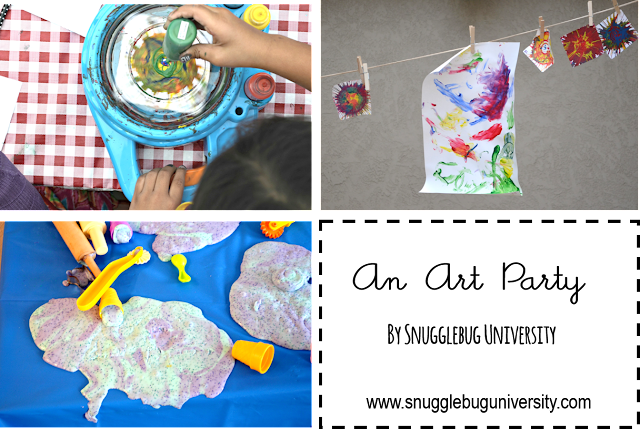 (Which was absolutely great, because the idea of tons of kids running around with paint in my house made me just a little bit nervous.) It was messy though! I was very grateful that we had great weather as well so we could have a good portion of the party outside. We had spin art, finger paints, watercolor painting, glitter gak, and we decorated cookies! The plates and napkins were from Amazon. I highly recommend the edible markers for letting the kids decorate sugar cookies. We also had frosting and sprinkles too. 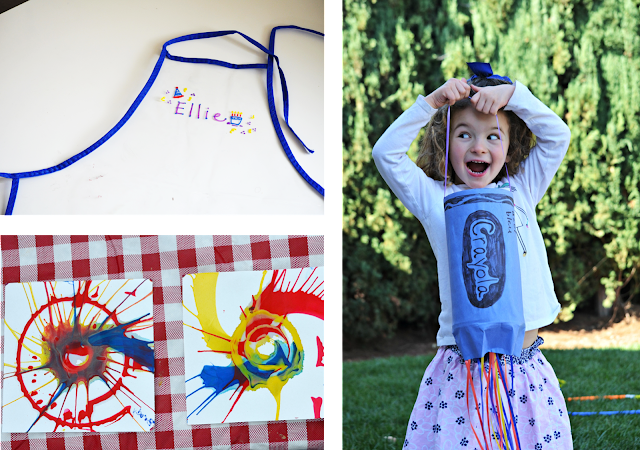 Every kid got a painting smock with their name on it (I used these Oil Sharpies) to write their names on the aprons. I used the same sharpies to write the kids names on their art caddies (Source; Dollar Tree) which I filled with watercolors, paint pallets, splash tattoos, and the painting smocks. 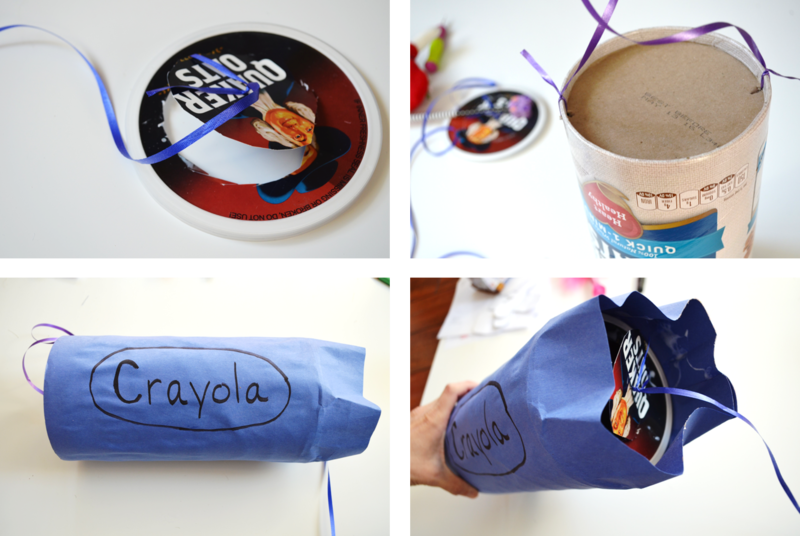 We also made a crayon-inspired pull pinata out of an old oatmeal container. The morning of the party I looked through Lu's old clothes and found this artist shirt that I'd purchased a few years ago. To my complete amazement it was in great condition and not stained! 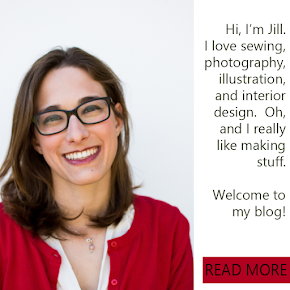 Totally perfect, right? 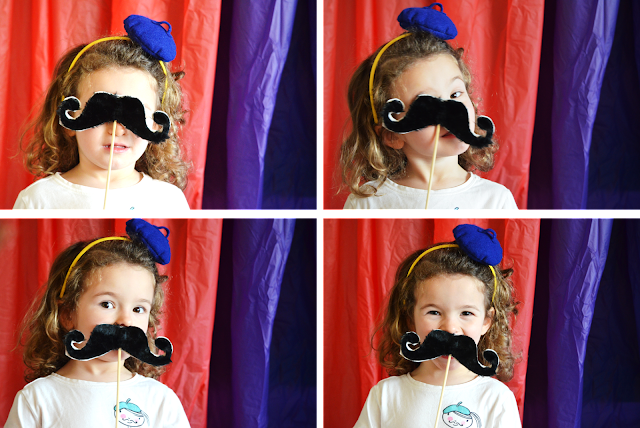 We put together a make shift photo booth by draping some plastic tablecloths over a book shelf. The girls helped me make props, including the artist mustache (it was just a sticky mustache we found at the Dollar Tree and mounted on poster board) and we made a headband beret. 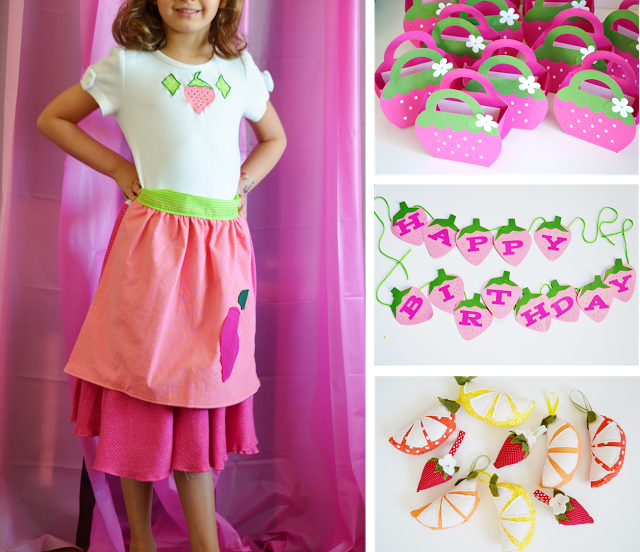 Would you like to make your own pinata or headband beret? 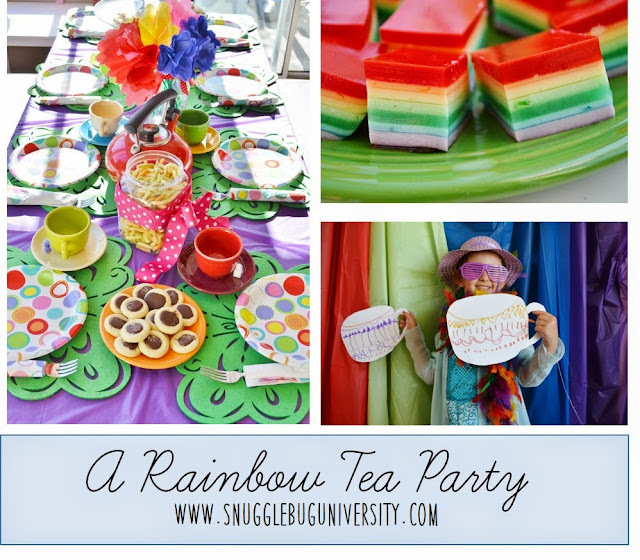 Keep reading below for a quick how to to make these easy party details. 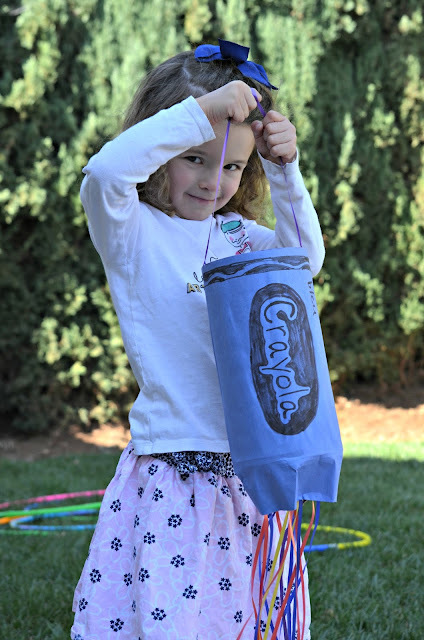 The crayon pinata is made a lot like the butterfly pull pinata was at Lu's Butterfly Bash. It's simply an oatmeal container. The cap has a circle cut out of it, so that when the right string is pulled the trap door is opened. Otherwise it's just wrapped with paper and decorated. Pretty simply right? All I did was tape more streamers to the bottom side of the crayon. Easy peasy! Ellie was super proud of the pinata that she helped make, and I loved how easy it was to pull together. We stuffed it with ring pops, erasers, party blowers, and stickers. 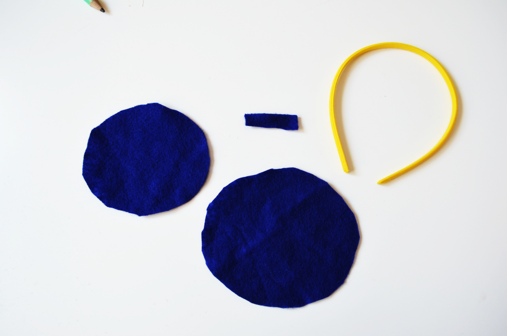 Two circles cut out of felt, and one tiny rectangle. One circle is cut slightly smaller than the other. Begin by gathering up the larger circle, until it's about the same circumference as the smaller circle. Then pin the right sides together, and sew the two circles together. Leave a small area open so that you can turn the hat right side out. Add polyfil. Close the opening by hand, and sew on the little rectangle to the top. 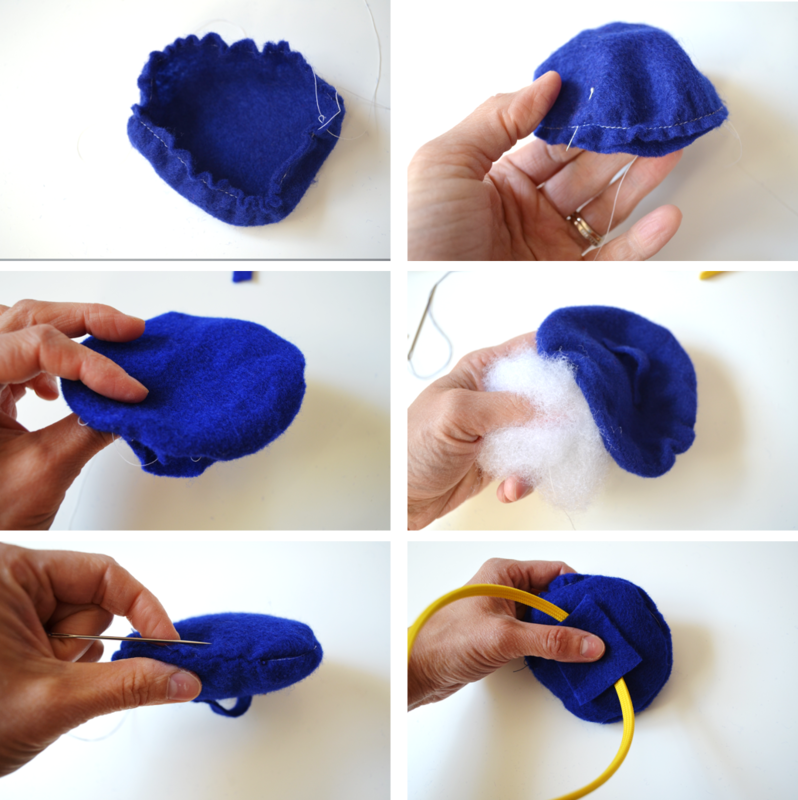 Hot glue the beret to the headband. I ended up covering the glue with another piece of felt to make the underside of the beret look a little nicer. Finished! My kids were super jealous I only made one. If I'd had more time I might have tried to make one for each kid, but unfortunately I just didn't get around to it. 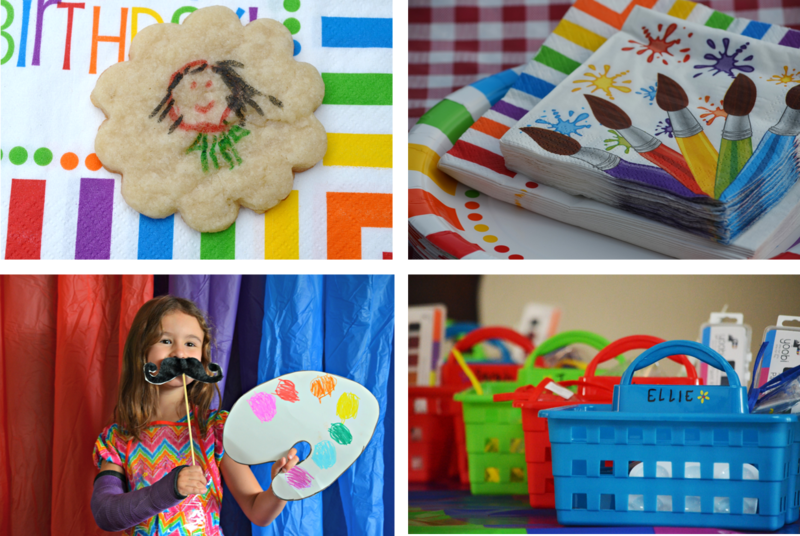 I hope you enjoyed seeing a peak into all the details of Ellie's art party! It was a really fun afternoon....and perhaps the best part is that there are no more birthday parties in my house for 9 months! It's a good thing, because I'm seriously all partied out.